The Bay Brasserie at the Lerwick Hotel enjoys unrivalled open views over Breiwick Bay; designed by award winning CM design, One of Scotland’s foremost interior designers. Food was delicious, service was brilliant, as it always is! A nice lunch. We pre-ordered and so our one hour lunch break was just right for time for four of us. Staff attentive and pleasant. Thoroughly enjoyable meal. Very good value. Staff attentive and very welcoming. Thank you. Great food and service in nice surroundings. Excellent food, 1st class  service,  very reasonably priced. Will definately be back again. Went for my dad's birthday and had a lovely time. The menus are great with a brilliant selection. 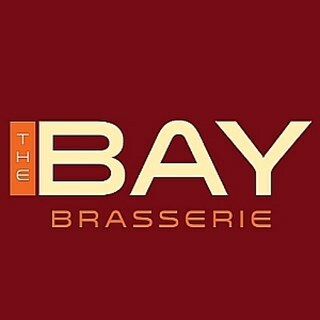 Our Valentine Dinner at the Bay Brasserie was excellent. I would have loved to know the recipe for the Soup my Husband ordered! All in all it was very enjoyable and walked home pleasantly full. Serving staff weren’t very approachable and didn’t come across as very welcoming. The cocktails were very overpriced and ‘gimmicky’ and the food was mediocre - it did not taste bad, it just wasn’t what we would’ve considered restraunt quality. However, the service was very quick. Over all our visit was average, it did not put me off, but I won’t be in a hurry to return. Eat at brasserie regularly, always good food, and great selection on menu, also good selection of Gins. The food was very good and I particularly enjoyed the seafood platter. The staff were very welcoming. Excellent service and venue. Food good. Fantastic Christmas lunch, lovely presentation, mouth watering three courses followed by coffee and warm mince pies. Staff were very attentive and friendly. We eat here a couple of times a month on a Sunday, the service is friendly and generally efficient, food is a good quality and menu has enough variety for most tastes, we do always feel though that the Yorkshire’s could be better! Prices are ok. I always choose the Lerwick Hotel as a venue to go  for both work and personal eating as there is a very good variety of food. The staff are wonderful and provide an excellent service which is so important to me. We had a truly excellent night out. The arrangements were perfectly organised for our requirements and the staff were very professional and attentive.